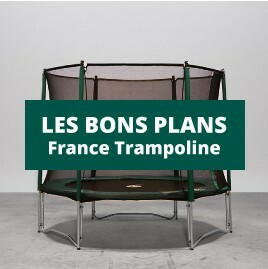 Trampoline de très bonne qualité et facile a monter...c'est du costaud! Custom requestsThere are 18 products. Made to measure hammock floor. Sunbed nets for private individuals and professionals available in various materials. Check out our made to measure nets used for guardrails, railings or stairwell protection. France Trampoline multi-purpose tarpaulin for guardrails, handrails, stair wells, and more. Custom-made, multi-purpose PVC Mesh, Multitramp, and tarpaulin canvases. The white mesh technical canvas is used in the manufacturing of catamaran trampolines. France Trampoline designs customized trampolines for multi-hulls. F1313T hammock floor netting to fit your house with a made to measure indoor hammock. 13 mm black hammock floor netting to fit your house with a made to measure indoor or outdoor suspended house net. Soft and comfortable, ideal for small budgets! 30-mm braided home net, custom-made to secure a void, mezzanine, and so on, both indoors and outdoors. Made to measure 30 mm hammock floor netting to fit an indoor or outdoor space. F5050T made to measure hammock netting to convert your indoor or outdoor space. This 5 cm knotted netting is often used for custom-made rail nets or deck netting.